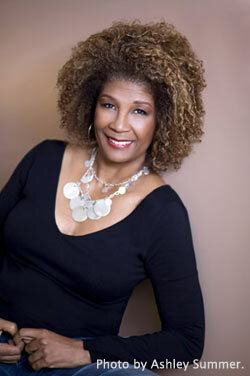 Posted by Carolyn Burns Bass in multi-cultural fiction, women's fiction. Who wouldn’t want to drive across country in a classic Rolls Royce? 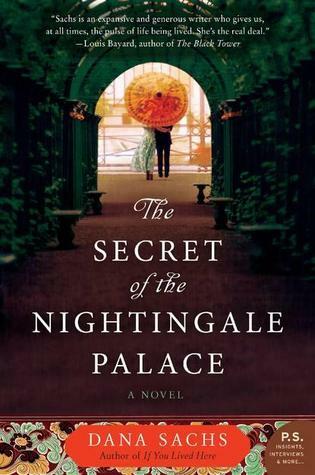 In Dana Sach‘s aesthetic novel, The Secret of the Nightingale Palace, Anna, a young widow still grieving the leukemia death of her husband and her feisty octogenarian grandmother, Goldie, do just that. Comfortable in her widow’s weeds, Goldie can’t understand why Anna is still reeling from the harsh, drawn-out death of her husband two years before. However much she wants to move on, Anna has armored herself with undesirability and unworthiness—two attributes for which Goldie has no sympathy. When Goldie recruits—practically demands—Anna to drive her from New York to San Francisco to return a portfolio of rare Japanese prints to a friend sent to the Manzanar Concentration Camp during World War II, a fascinating tale of two widows of different eras unravels across the miles. 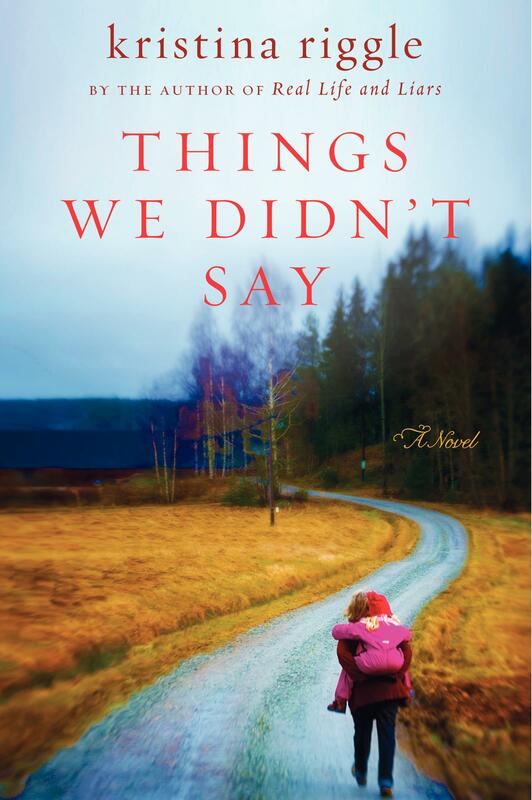 Sachs deftly examines multi-cultural issues in romance, politics, and life. Just when you think the book is going one place, The Secret of the Nightingale Palace turns a corner and goes an unexpected direction for an ending both unexpected and delightful for both of the women. Follow Dana Sachs on Twitter: @DanaSachs. Posted by Carolyn Burns Bass in women's fiction. In Rachel Joyce’s recent bestseller, The Unlikely Pilgrimage of Harold Frye, we meet an elderly man who impulsively sets out on a walk across England. Although Harold’s journey provides present situational tension, it’s his backstory that reveals the true nature of Harold Fry and the circumstances leading to his 500-mile walk. Novels which feature protagonists of a certain age almost always place them in situations where the character must reveal something of the past to prop up the present story arc. Outside of the mystery genre—particularly cozy mysteries—there few novels whose protagonists are elderly characters living out a present crisis (other than dementia, cancer and other health issues). On Wednesday, February 20, we’ll discuss these questions and others in our topic “Mind Your Elders.” Friday’s guest host, Lynda Rutledge, joins us to talk about her debut novel, Faith Bass Darling’s Last Garage Sale. Faith Bass Darling’s Last Garage Sale isn’t one of the few novels whose elderly protagonist has a vivid life in the present. Instead, we’re drawn into the world of a tormented matriarch whose dementia tells the backstory leading to the decay of a privileged Texas banking family. 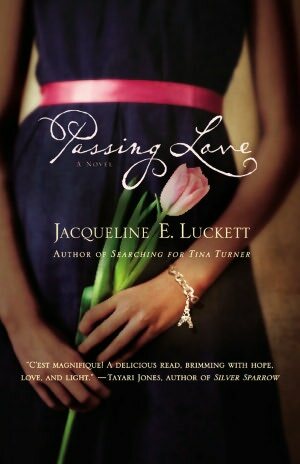 On the last day of the old millennium, Faith Bass Darling gets a message from God to rid herself of the possessions she valued more than her family so she can die unencumbered before the clock strikes midnight. Although she’s never before had a garage sale, she hauls all of her precious antiques onto her once-manicured lawn and props up a hand-painted sign. Soon everyone in town wants a piece of the old Bass/Darling mansion, and at the prices Faith is asking, nothing is out of their price range. By the time Faith’s estranged daughter, Claudia, shows up to reason with her mother, Faith is so lost in her delusion she doesn’t even believe Claudia is real. Throw in an exorcism by an Episcopal priest, a tender reconciliation between mother and daughter, and a giant explosion at millennium midnight for a rollicking end to Faith Bass Darling’s Last Garage Sale. Interwoven within the story are selected histories of the embittered old woman’s valuable antiques as touchstones to the backstory. 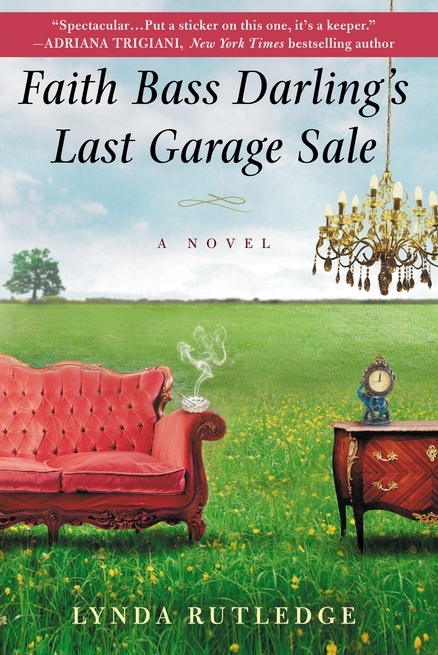 Faith Bass Darling’s Last Garage Sale provides a charming morality tale about putting people before pride and possessions. 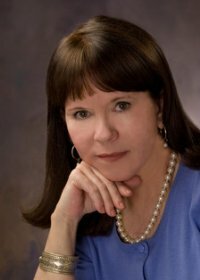 A fifth generation Texan, Lynda Rutledge has hopped across literary and geographic boundaries in her writing career. 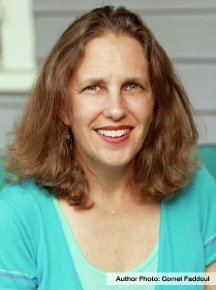 She’s been a freelance journalist, travel writer, ghostwriter, restaurant and film reviewer, copywriter, college professor, book collaborator, and nonfiction author while living/​writing/​studying in Chicago, San Diego, New Orleans, Madrid, and lots of other heres and theres around the globe. As a freelance journalist, she’s petted baby rhinos, snorkeled with endangered sea turtles, hang-glided off a small Swiss mountain, dodged hurricanes, and interviewed the famous and not-so-famous to write dozens of articles for national and international magazines, newspapers and travel guides, her travel photographs often appearing with her work. She’s also crafted collaborative book-length nonfiction with people from all walks of life as well as a list of special charities and organizations such as the San Diego Zoo and Wild Animal Park. Her creative writing, though, has always been the love of her writing life and the stuff of her literary dreams. 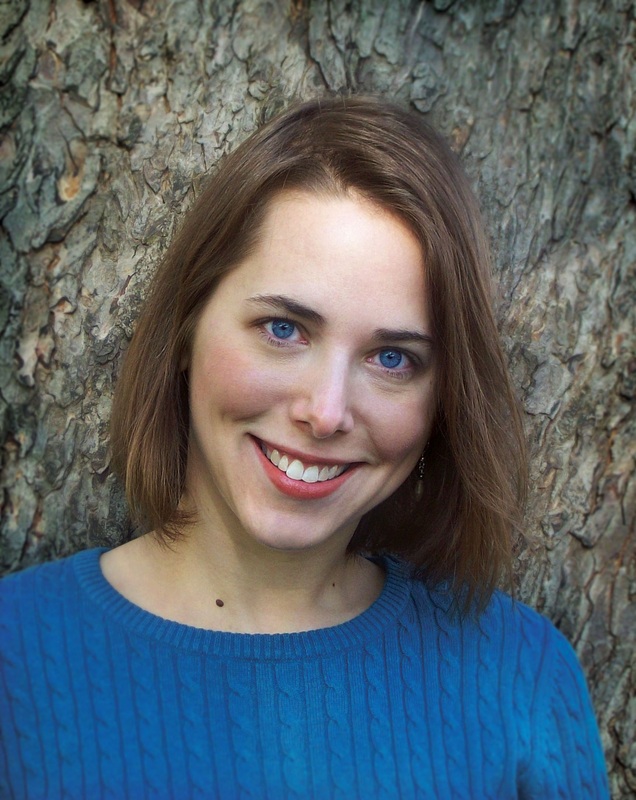 She holds an MFA from the University of New Orleans and has won awards and residencies from the Illinois Arts Council, Writers League of Texas, Ragdale Foundation, Atlantic Center for the Arts, and Squaw Valley Community of Writers as well as juried attendance to Sewanee Writers Conference among others. Currently, she is behaving herself in front of her computer screen in the hill country outside Austin. Follow Lynda Rutledge on Twitter: @LyndaRutledge. 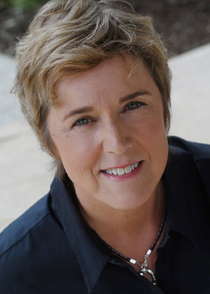 Posted by Carolyn Burns Bass in bestsellers, women's fiction. MediaMonday for July 16, 2012: A View from the Critics Seat, by New York Times opinion editor Arthur S. Brisbane, July 14, 2012. A good novel is like a nautilus shell. It appears to be one thing from the outside, smooth, luminous, alluring, but inside its hard shell are chambers of characters, situations, and secrets that flow from the fantastic to the finite. On Wednesday we’ll discuss novels that examine friendships or other relationships that are cloaked in deceit or masked by secrecy. 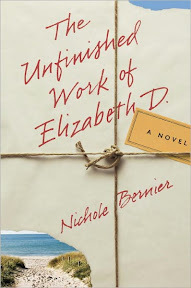 Then on Friday, July 20, Nichole Bernier joins us to discuss her debut novel, The Unfinished Work of Elizabeth D.
How much do you want to know your friends? Really know them—their secrets, failures, personal prejudices? Would you really want to know what they think of your mutual friends, your children, your husband? You? Bernier’s novel, The Unfinished Work of Elizabeth D, takes readers into the private live of Elizabeth D through journals she bequeaths to her best friend Kate after she is killed in a plane crash. Elizabeth asks Kate to read the journals and then decide what to do with them. Inside the journals that go back dozens of years, Kate discovers an Elizabeth quite different than the friend with whom she’d shared her intimate thoughts, a woman with secrets as fresh as where she was going and with whom she was meeting the day her plane crashed. Confronted by Elizabeth’s pointed observations of herself, Kate reads and recoils through the pages, taking to heart what is true and sloughing off what isn’t. 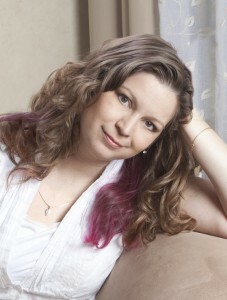 Nichole has written for magazines including Elle,Self, Health, Men’s Journal, Child and Yankee. 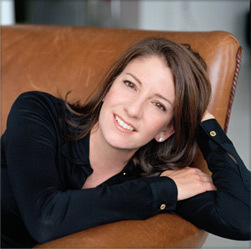 A 14-year contributing editor to Conde Nast Traveler magazine, she was previously on staff as a features writer, golf and ski editor and television spokesperson. After she married and moved to Boston, she joined Boston Magazine as a senior editor, where she supervised restaurant reviews, the annual Best of Boston feature, and wrote an investigative piece about environmental toxins in the suburbs that won the magazine a City and Regional Magazine Award. She is one of the founders of the literary blog Beyond the Margins, which features daily essays on the craft and business of publishing, and received her master’s degree in journalism from Columbia University, where she received the 1993 award for literary journalism. She is at work on her second novel, and lives outside of Boston with her husband and five children. Follow Nichole Bernier on Twitter: @NicholeBernier. 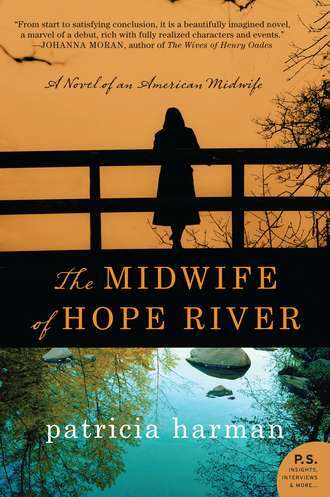 Posted by Carolyn Burns Bass in literary fiction, women's fiction. This Friday’s guest host in #litchat, Gwendolen Gross, has explored this theme from a fresh and intriguing angle. 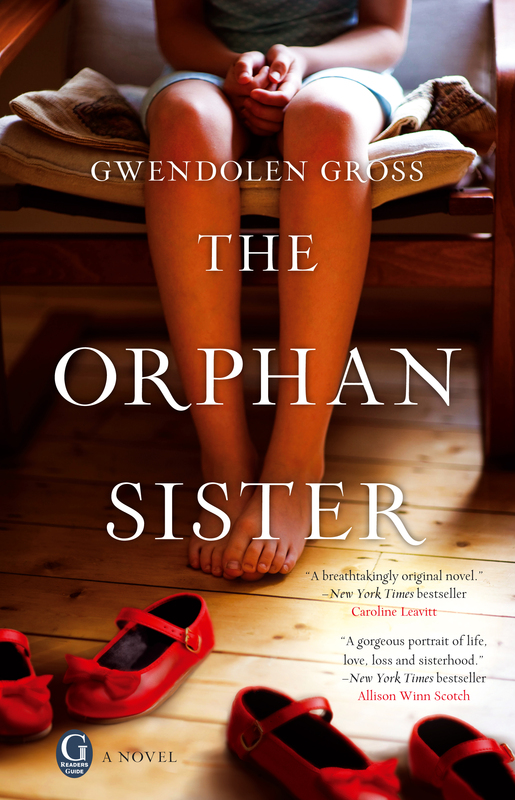 Her latest novel, The Orphan Sister, is the story of triplet daughters born to a mercurial father and Stepford-like mother. Two of the twins are identical, leaving the odd one out to narrate what it’s like being the third wheel in a perfectly balanced family of pairs. The identicals, Olivia and Odette, given the O names after their polished and perfect mother Octavia, share the secret language of twins and are such mirror images they each follow their father into medicine, one becomes an ob-gyn, the other a pediatrician. They marry at the right time, to the right men, become pregnant within weeks of each other, and give birth to perfect babies. Clementine, the singleton within the triplets, shares a low-voltage intuition with her womb-mates, yet is conflicted with cravings for the intimacy of twinness and the individuality of marching to her own tune. When the triplets’ father goes missing, leaving only the number of a lawyer behind, the story reveals another thread of odd-man out that threatens to unravel the tight-knit family. Layered between the triplet’s ongoing anxiety over their father’s disappearance, is Clementine’s internal struggle with self-confidence, rivalry with her sisters, hunger for approval from her father, the death of her first true love and why she has problems with love and commitment. Gwendolen Gross grew up in Newton, Mass. She graduated from Oberlin College, where she studied science writing and voice performance. She spent a semester in Australia with a field studies program, studying spectacled fruit bats in the rainforest remnants of Northern Queensland. 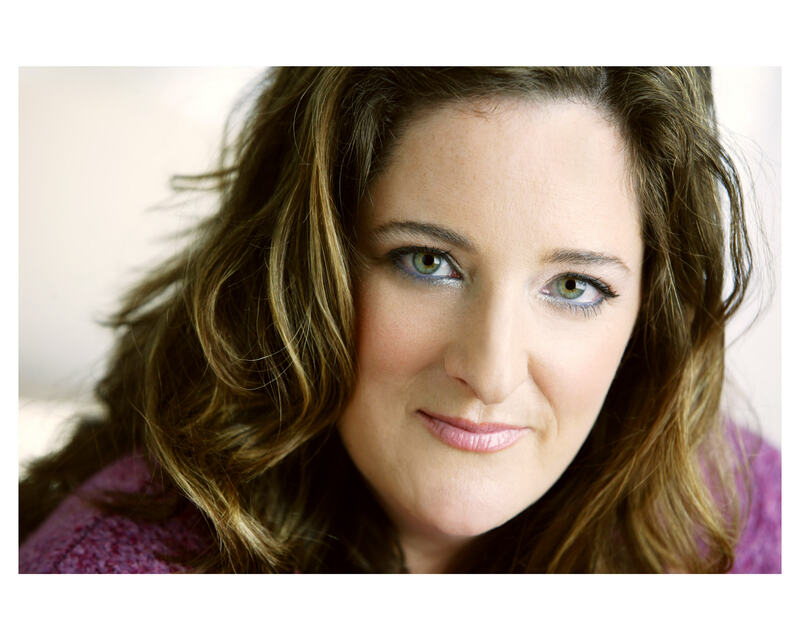 After college, she moved to San Francisco, then San Diego, and worked in publishing, as well as performing with the San Diego Opera Chorus. Through the San Diego Writing Center, she was selected for the PEN West Emerging Writers Program. Gross received an M.F.A. in fiction and poetry from Sarah Lawrence College. Her poems have been published in dozens of literary magazines, and won the 1999 Adrienne Lee Award. Her first novel, Field Guide, was issued by Henry Holt in April 2001 (Harvest paperback 2002), and her second, Getting Out, in spring 2002. These two women’s adventure fiction novels received critical acclaim. She then shifted her focus to the dramas of motherhood. 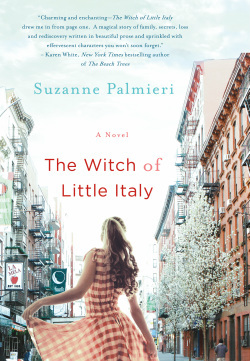 with her third novel, The Other Mother (Random House, 2007). 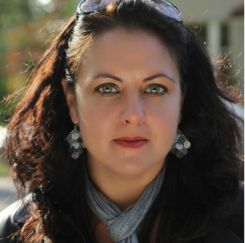 An award-winning writing instructor, Gross has led workshops at Sarah Lawrence College and the UCLA Extension online. Gross has worked as a snake and kinkajou demonstrator, naturalist, opera singer, editor, and mom. She lives in northern New Jersey with her family. Therapists have long prescribed writing as a means of understanding and eventually overcoming personal crises. Roman a clef novels, those novelographies that mask real life events through fictional characters and settings, sometimes arise from an author’s need to understand the feelings that events provoke. Some therapeutic writing in journals, have evolved into published memoirs of great respect. This week in #litchat we’re going to discuss the value, methods and benefits of reading and writing through difficult times. Friday’s guest host, Deanna Roy, understands the value of therapeutic literature, both as a reader and a writer. After suffering her first miscarriage, Roy began a website, www.pregnancyloss.info, to connect with other women who share this bewildering experience. Miscarriage and other types of fetal death are topics most people are uncomfortable talking about, often because of the misunderstood value of the unborn. Women who experience miscarriages often return to work only days afterwards with barely a nod or note of concern for their loss. 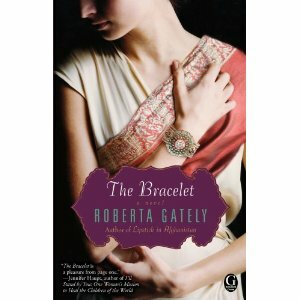 Drawing from the stories of thousands of women, Roy set out to write a novel that would lift the cloaking taboo from miscarriage. 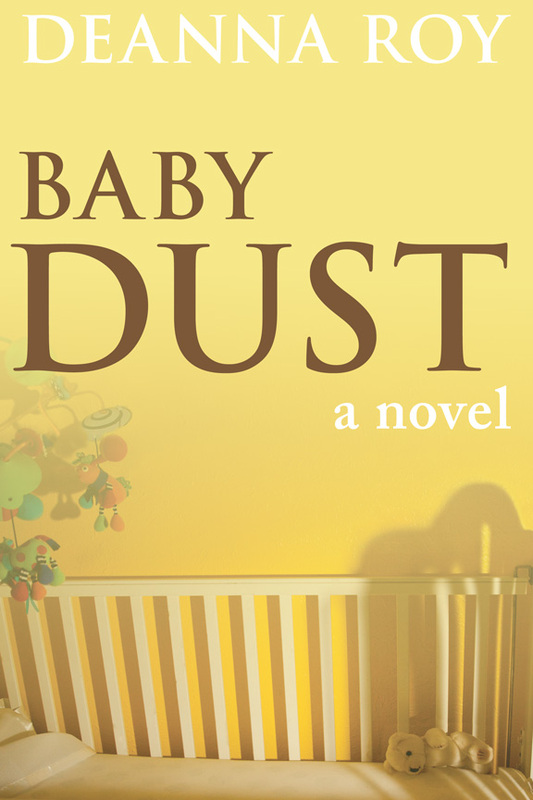 Her novel, Baby Dust, throws five women in different stages of life, culture, and economic conditions, into a pregnancy loss support group where they share, uplift and counsel one another through more than just the loss of a baby. While her characters may seem melodramatic in their reactions to their losses, many women who have endured a failed pregnancy—and the men who stood beside them—will see something of their own experience in Baby Dust. Watch the Baby Dust trailer here. 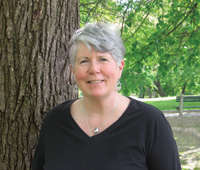 Deanna Roy’s stories have appeared in several literary magazines, including 34th Parallel,Farfelu, and The First Line. Her writing credits are lengthy due to her background in journalism and freelance, but one of her favorite articles is a humorous piece about skydiving, published by The Writer in March 2009. She’s been a waitress, a free-sample girl, backstage security for a concert venue (please don’t ask about the time she threw R.E.M. off the elevator and made them late to their own concert) , a high school teacher, an editor for a publishing company, and now, a professional photographer and instructor at the University of Texas.